A guided visit to the Archaeological Museum, and some of the island’s key historic ceremonial centres. 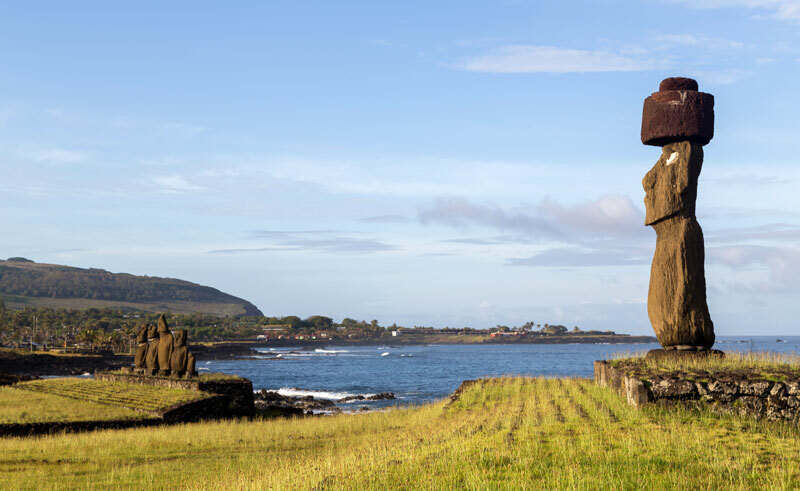 Begin at the Padre Sebastian Englert Archaeological Museum in Hanga Roa, which features a collection of exhibits showcasing the Rapa Nui’s heritage. Among the display is an elongated ball of white coral found near a moai in 1978. It turned out to be the first definitive evidence proving the long held theory that the statues had originally been adorned with decorative eyes. The next site is Ahu Tepeu, considered to be the most important ceremonial centre on the island. It features a Hare Paenga (ancient house) in the shape of a turned-over boat. The tour continues to Tahai, one of the island’s oldest ceremonial complexes that includes three different Ahus (altars) with their respective moai. Nearby is Hanga Kioe, a ceremonial centre where legend claims the crowning of the Ariki Henua (the king) used to take place. Notes: Museums on Easter Island are closed on Mondays and National Holidays.